On March 29, 2017, Wyndie Tse, PharmD, the Medication Safety Pharmacist and Residency Program Coordinator at City of Hope, gave a presentation about "Medication Safety". She started out with an interesting video experiment (The Monkey Business Illusion) about looking out for a gorilla in a video while watching people pass balls to each other. As the class looked out for the gorilla, the background of the curtains changed and one of the people left the stage as well. This highlighted her point which was that when looking out for one possible medication error, there may be many more that occur unnoticed. She gave some examples of past medication errors that called for the presence of a medication safety officer including one where a woman received four times the amount of cyclophosphamide that should have been given. She used the analogy of wearing different hats in her job. This meant that her job consisted of many duties including being a detective, supervisor, compliance officer, educator and expert. Overall, Wyndie gave a very interesting new perspective on pharmacy and inspired me to look into medication safety further. ​This presentation is about medication errors occurring because of unintentional blindness. Some things to avoid is to take a time out, increase communication among coworker, and flag dangerous medications by putting a high alert sticker. The guest speakers’ role started with a lot of data analysis and audits in the hospital to make sure there was progress in safety overtime. The skills needed for a medication safety pharmacist includes being an educator, auditor, ambassador and more. As an ambassador, it is important to report directly to P&T committees, with collaborative efforts among nurses or doctors. As a supervisor, she implements the changes that should happen. High level changes are large system changes, such as taking high concentration KCl from the floors or making all drips standardized. All hospitals need to have a medication error reduction plan and she needs to review it, in many elements this is where she acts as a compliance officer. There are lots of bar code scanning involved in order to make sure the wrong medication is not given. As an educator she has the opportunity to get creative with fun ways to teaching staff. She also plays a role as a systems expert, right now is involved in switching to a new pharmacy program called EPIC. Practicing these methods will make me as a student pharmacist avoid mistakes. My name is Leonel Garcia Jr. and I am a PharmD Candidate 2018 at the WesternU College of Pharmacy. I started volunteering in UCI Medical Center when I was attending Cal State Fullerton pursuing my degree in Biochemistry. I was the first volunteer to create a position in helping the lead narcotic pharmacy technician organize important forms and was hired as an inpatient pharmacy technician. Ever since stepping foot in that pharmacy, I knew that I was going to pursue a PharmD. While attending WesternU, I came up with an idea that would make the process of extracting liquid from a capsule safer and more efficient. This idea was picked up by the UCI Invention Transfer Group and has a provisional patent. I am very excited to start Dr. Sam’s rotation and can’t wait to learn. Post-traumatic stress disorder (PTSD), as classified by DSM-V, is a trauma and stress-related disorder that is not only very difficult to treat but is also becoming common these days due to an increasingly violent society. According to DSM-V, PTSD can develop after exposure to a terrifying event, including death, serious injury, and sexual violence, and is more commonly associated with military war veterans. Unfortunately, there is no cure for PTSD. Current pharmacological treatments for PTSD only help with the symptoms of PTSD and fail to address personal history and present environment or cognition, leaving it solely up to psychotherapy to help address these issues. Psychotherapy alone is problematic among victims of PTSD; most people with PTSD do not want to relive their traumatic experience and thus tend to avoid any reminders or triggers of that traumatic event. This is where MDMA (3,4-methylenedioxymethamphetamine) comes into play. MDMA is a psychedelic, the active ingredient in the illegal recreational drug, ecstasy/”Molly,” and new research has shown pure MDMA to be effective in treatment-resistant PTSD. MDMA is known as the “love drug” as it decreases fear and defensiveness while increasing trust and empathy. Contrary to popular belief, MDMA does not produce hallucinations and in fact increases mental lucidity, allowing for a more open and successful psychotherapy session (clinical trials have been set up so that psychotherapy immediately follows administration of MDMA). FDA gave the green light for the final phase of trials on November 29, 2016, and patient recruitment for Phase 3 is scheduled to start June 2017. If all goes well, MDMA could be legalized as soon as 2021, leading to a breakthrough in PTSD treatment. Post-traumatic stress disorder (PTSD), as classified by DSM-V, is a trauma and stress-related disorder that is not only very difficult to treat but is also becoming common these days due to an increasingly violent society. According to DSM-V, PTSD can develop after exposure to a terrifying event, including death, serious injury, and sexual violence, and is more commonly associated with military war veterans. Unfortunately, there is no cure for PTSD. Current pharmacological treatments for PTSD only help with the symptoms of PTSD and fail to address personal history and present environment or cognition, leaving it solely up to psychotherapy to help address these issues. Psychotherapy alone is problematic among victims of PTSD; most people with PTSD do not want to relive their traumatic experience and thus tend to avoid any reminders or triggers of that traumatic event. This is where MDMA (3,4-methylenedioxymethamphetamine) comes into play. MDMA is a psychedelic, the active ingredient in the illegal recreational drug, ecstasy/”Molly,” and new research has shown pure MDMA to be effective in treatment-resistant PTSD. MDMA is known as the “love drug” as it decreases fear and defensiveness while increasing trust and empathy. Contrary to popular belief, MDMA does not produce hallucinations and in fact increases mental lucidity, allowing for a more open and successful psychotherapy session (clinical trials have been set up so that psychotherapy immediately follows administration of MDMA). FDA gave the green light for the final phase of trials on November 29, 2016, and patient recruitment for Phase 3 is scheduled to start June 2017. If all goes well, MDMA could be legalized as soon as 2021, leading to a breakthrough in PTSD treatment. In 1965, Intel co-founder, Gordon Moore, predicted that computer processing speed will double every 18 months, which is known as Moore’s law(1.) Futurist Ray Kurzweil is also well known for his shockingly accurate predictions in the accelerating change in technology. His vision includes "wristwatch monitoring systems" by the early 2000s, which today, we see in things like the Apple Watch(2). These are just a couple of manifestation of a greater trend that technological advancement occurs at an exponential rate. Mobile phones, for instance, has advanced from simply being a two-way communication device to “smartphones” which possess “smarter” capabilities such as web browsing, virtual personal assistants and fitness tracking, to name a few. A plethora of health apps and devices are constantly under development due to the trend of increasingly health-conscious consumers. Wearable technology has especially generated a lot of attention and success over the past several years. The concept of wearable technology was popularized by fitness trackers and bands which include products such as Fitbit and Nike+, which are essentially graduated pedometers that allows integration of the fitness tracking device to the user’s smartphone.The success in fitness trackers is due to several reasons: it fulfills our need to be constantly connected by giving us real-time updates and the ability to share our data with others; it reinforces our good behavior by buzzing when a goal is achieved, this variable reinforcement schedule is the very idea behind why gambling is addicting; lastly it promotes overall wellness on top of fitness by incorporating additional features such as sleep and heart rate monitoring. The influence technology has had on motivating people to maintain physical fitness is the inspiration to many wearable devices that aid in the management of other health conditions such as Google’s “smart” glucose-sensing contact lenses(3), QardioCore’s wireless and patchless ECG monitor(4), BodyTrak’s in-ear vitals monitoring device(5), and a non-invasive glucose monitoring patch that is capable of blood sugar monitoring and painless insulin delivery(6). Tracking and collecting data is now easier than ever, translating this data into meaningful and useful information is the next step. This is the idea behind Neura, a software development kit (SDK) that enhances medication management apps and devices through the use of artificial intelligence to analyze and translate data into actionable insights7. For example, a medication reminder app enhanced with Neura has the ability to sense when the user wakes up, and will deliver the alert upon the user’s waking. This can aid in changing behavior, following doctor’s orders more closely and building healthier habits which results in increased adherence and improved general wellness. Wearable technology can be a positive enabling tool for patients to monitor and track their own metrics to manage their health conditions. As technology continues to advance at such as pace, it is critical for health-care systems, including pharmacy, to learn how to leverage digital health information to help guide care. It is crucial for pharmacists to get involved with technology, especially at the developmental stages; incorporating a pharmacist’s input into the development of apps, programs, and devices allows us to build technology that works for us rather than against us. Three years ago, Prabhdeep Sidhu, PharmD 2015, was a WesternU student pharmacist taking my Administrative/Teaching elective rotation. Today, he is proud owner of a community pharmacy in Sacramento, California, MEDICARE Pharmacy. I got a chance to visit his new pharmacy in Sacramento, California on March 13, 2017. His pharmacy provides health screenings, free delivery, medication therapy management, immunizations, veterinary medications and Medicare Part D plan selection. Congratulations! 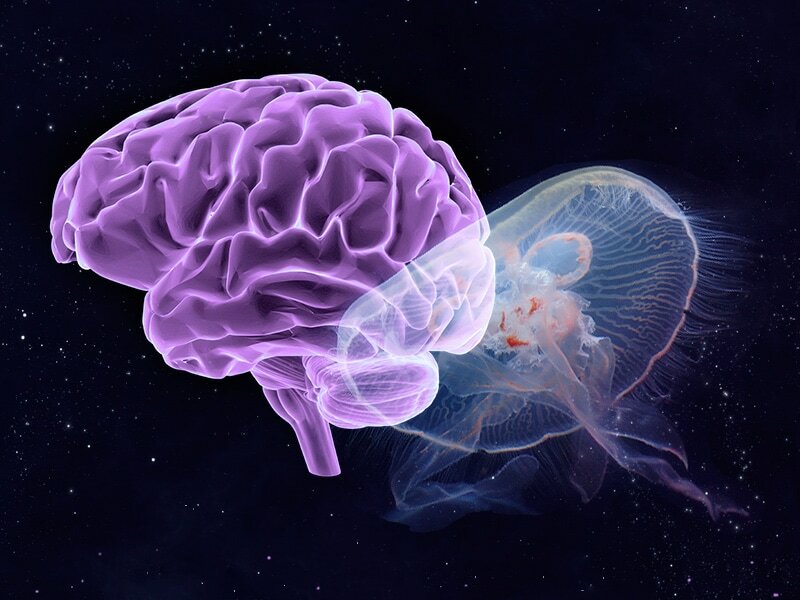 Prevagen: Memory Enhancing Protein found in Jellyfish. Does it work? ​Baby boomers across the nation are reaching the age of 65, but with wisdom, also comes worries. Memory decline is a concern for many older adults. There are many dietary supplements on the market that are promoted for improving memory and cognitive function. Some of these have included B Vitamin supplements, fish oil and gingko biloba. The evidence in humans about their efficacy for this purpose is variable and trial results have been mixed. A couple of weeks ago, 3 different customers approached me at the pharmacy to inquire about a dietary supplement, Prevagen, widely advertised for promoting “healthy brain function," a "sharper mind," "better memory," and "clearer thinking. "(2) The active ingredient in Prevagen is synthetically produced apoaequorin, a calcium binding protein originally found in jellyfish. The basis for suggesting its usefulness in memory enhancement seems to be the calcium binding properties of the protein. It is hypothesized that age-related memory decline is due to neuronal dysfunction which can occur when control of intracellular calcium concentrations is impaired (1). However, studies that have been published to support the claimed mechanism of action of apoaequorin on memory are limited to small, company-sponsored trials posted on the company’s website (2). Additionally, the company failed to report adverse drug reactions and the FDA found that more than one thousand adverse health events associated with the product, including seizures and strokes, some of which resulted in hospitalization, were not reported by the company (3). So what do we tell our patients? With such limited evidence to support its efficacy and safety, I personally would not waste my money on it. Although memory slips can be frustrating and can trigger fears of looming dementia or Alzheimer’s disease, mild forgetfulness can be a normal part of aging. It would be most appropriate for us as health care providers to educate patients that maintaining a healthy diet, a habitual physical exercise routine, and regular social engagements are essential in maintaining a healthy cognitive function and likely to possess additional health benefits. If a patient expresses concern about serious memory problems, refer them to their doctor or specialist. Quincy Bioscience. View our research and studies on Prevagen®. https://www.prevagen.com/research/ Accessed March 1, 2017.